It’s that time of year! Diving season in Montreal is just around the corner. In just a few weeks, the snow will finally melt away and the water will start to warm up. 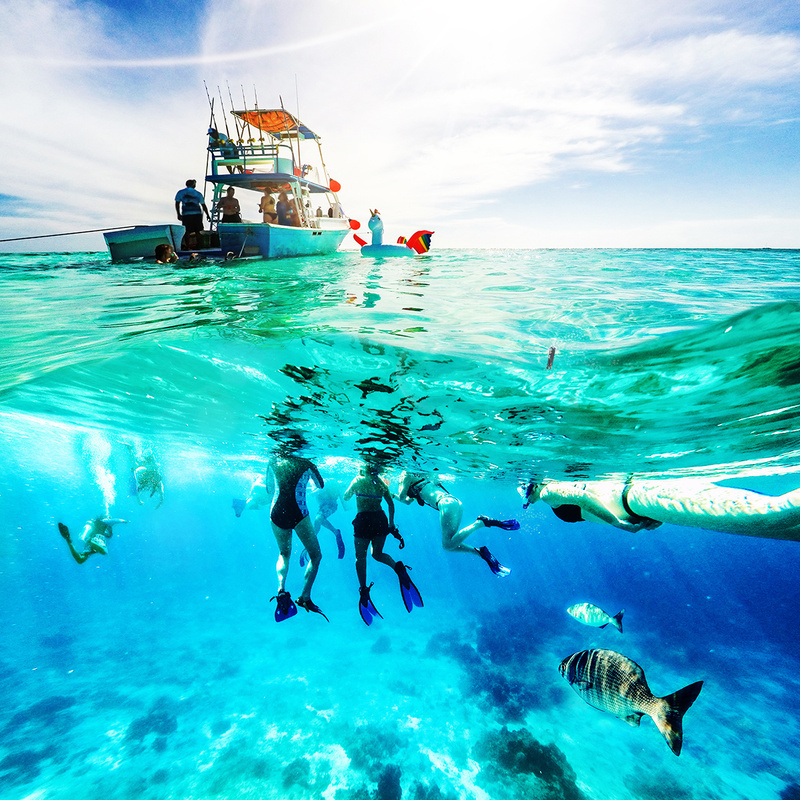 Whether you got to go on a wonderful diving vacation this winter, or if you haven’t seen the underwater world since October, there are lots of ways you can get ready for this summer season with Total Diving. You might be wondering what kind of preparation you should do to get yourself, and your dive gear, back in shape. Look no further! Let us help you get yourself back into full form. Your regulator is your most important piece of equipment. You rely on it to breathe, which is why you should never take any risks with it. Regulators need to be serviced annually to ensure that they’re running smoothly, and that nothing happens while you’re diving. That’s why Total Diving is prepared to help you by taking in regulators from brands such as Aqua Lung and Apeks. If you’re wondering if we’re able to service your regulator, just give us a call and we will be able to tell you over the phone whether or not we’re prepared to help you. The most important thing to remember when bringing in your regulator for a service with us is to give yourself lots of time! 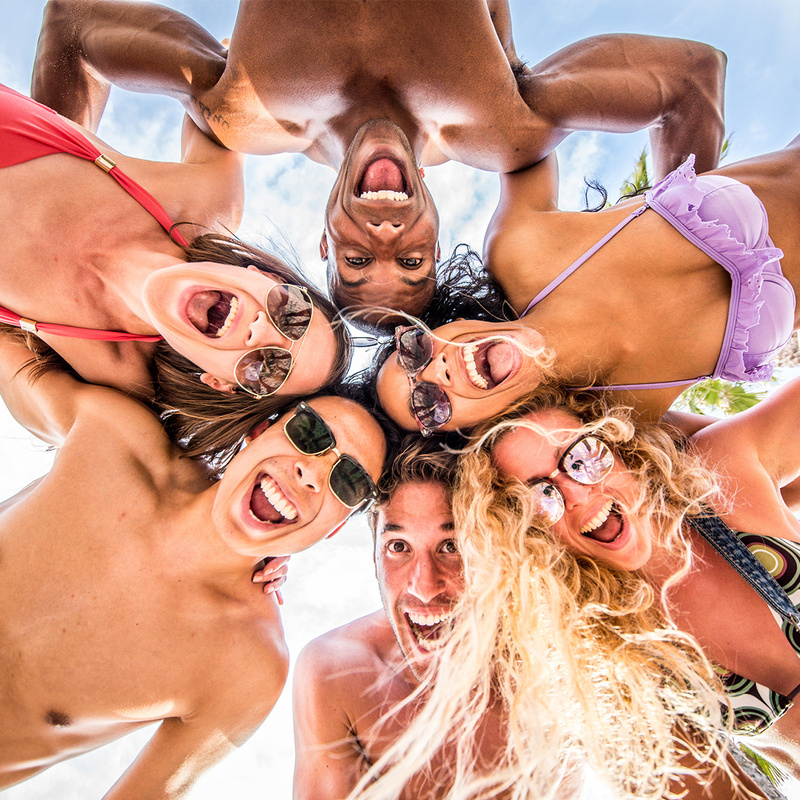 If you know you’re leaving on vacation for a certain date, or that you have a course to take on a specific weekend, give us minimum 2 weeks to service your equipment! We receive a high volume of regulators at this time of year, so be prepared by giving us and yourself time to get ready for diving season. If you have a cylinder, make sure it is visually inspected every year. We’re able to help you make sure that your tanks are in good shape to dive, and it doesn’t take as long as you think! By bringing us your tank to be inspected, you’re ensuring that all your dives are safe. No need to worry about whether or not there are issues with your valves, the inside, or bumps on the outside. Every 5 years, cylinders must undergo a hydrostatic test. This test is not expensive, and while Total Diving cannot perform it in-store for you, we can still take them to ensure they are up to date. The best way to dive is to dive in complete confidence with your equipment. Regulators and cylinders are not the only pieces of equipment that need attention before you start diving more regularly. First, you should have your BCD serviced annually, but there are still some tests you can run at home to make sure that your equipment is in good shape. For example, you can try orally inflating your vest to make sure there are no immediate problems that require attention. Second, it is crucial to ensure that your dive computer has enough battery power left to make it through the summer. If you only dive a few times a year, changing the battery annually should be sufficient. If you dive more often and do not have a rechargeable computer, you might want to think about changing your battery a few times a year just to make sure you’re not caught with a low battery in the middle of a vacation. Many dive computers have user-friendly batteries that can be changed at home. If you’re worried that you’re not doing it right, you can always bring it to us so that we can change it! The next step in making sure you’re ready for the summer season is to clean your equipment! If you haven’t been diving in a few months, your equipment can collect dust. This should be cleaned off. Here are some tips for how to clean your equipment properly. First things first, you should avoid using chemicals to clean your mask. Avoid contact with alcohol, oil, aerosols, or other chemicals because interaction with these substances can degrade the silicone skirt on your mask. To clean, just soak your mask in warm, fresh water and towel dry before storage in a cool, dry environment. Right before a dive, you should treat your mask with an anti-fog solution to ensure clear vision for the entirety of your dive. Although mask fogging is completely normal, you don’t have to let it ruin your dive! It’s possible that your wetsuit has been hanging in your closet for over a year now, collecting dust with the other things you don’t usually wear everyday. Not to worry! Cleaning your wetsuit to make sure it is completely ready to go is extremely easy. To wash your wetsuit, pour a small amount of washing detergent, maybe a teaspoon, into a larger bucket of lukewarm or cold fresh water. Dump your wetsuit into the water and make sure it gets soapy, so that the bacteria is cleaned off. Then, rinse your wetsuit with some more water. Let your wetsuit dry either outside for 15 minutes on each side, or inside by hanging it in your shower to let it drip. Store when dry. You can apply this technique to neoprene boots as well! There are many ways to thoroughly clean your BCD. We recommend that you rinse the outside, between all the folds, just to make sure there’s no left over surprises from last season. Next, work all your buttons while rinsing it with water, so that you get all the nooks and crannies. You should also make sure to rinse your hose, while pressing on the deflator button, so the interior parts of the vest are also being rinsed. Make sure you orally inflate your BCD after cleaning, and hang it in a dry, shaded area to make sure it dries properly. The rest of your dive equipment is easy to clean. Just give it a rinse with cool, fresh water to make sure that there’s no more dirt, dust or grime left from last season. When washing your snorkel, ensure that your mouthpiece doesn’t have any holes in it! Most dive equipment just needs a good rinse to get it ready for your next adventure. The last and most crucial step in getting ready for an action-packed summer of diving is to make sure that your equipment is in good shape. Maybe your fins look like they’ve seen better days, or your computer’s battery drains even when you put in a brand new one. There’s nothing like kicking off a new season by checking out all the latest technology the diving industry has to offer. Sometimes it’s better to just search for a new product than to try and rescue something that has been sitting in your garage for a few years. Here are some of the latest products to be released just in time for this summer! The XL4+ is compact, lightweight, and suitable for cold water. It’s the perfect vacation regulator! Available in DIN or Yoke, the XL4+ includes an additional high pressure port for added capability. The diaphragm is sealed to keep out dirt and rubbish, and the XL4+ is no match for ice build up. Other features include a high-performance pneumatically balanced level, a controllable purge button, and a Venturi lever. This regulator is perfect for your next trip because it’s so light. The XL4+ also works great in Quebec. The i200C is a brand-new take on the i200. Loaded with new features, such as bluetooth technology to transmit data to and from your computer, the i200C is a great upgrade on your old, heavy computer. It comes in a variety of fresh new colours to make your dive kit pop! The i200C has an intuitive and sporty look, and comes complete with 4 operating modes to give you the most out of your dives. With a user-changeable battery, it is the perfect watch to bring down south! Looking for a mask upgrade? Look no further! Aqua Lung’s Reveal mask, which comes readily available in single or dual lens look, is one of our favourite masks. The silicone on this mask is the softest available on today’s market. With a variety of brand new colours, you’ll be able to find a look that works for you! 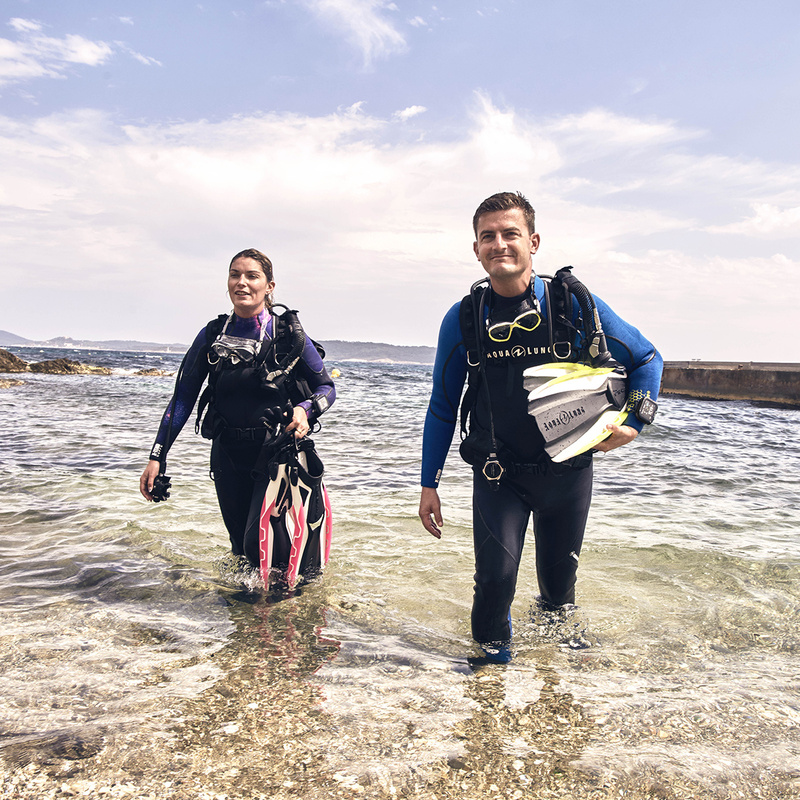 Getting ready for dive season is easy with Total Diving!